Staff at MotorCity Greyhound Rescue in Detroit, Mich. say they took all necessary precautions before importing greyhounds with a highly infectious canine flu from South Korea. 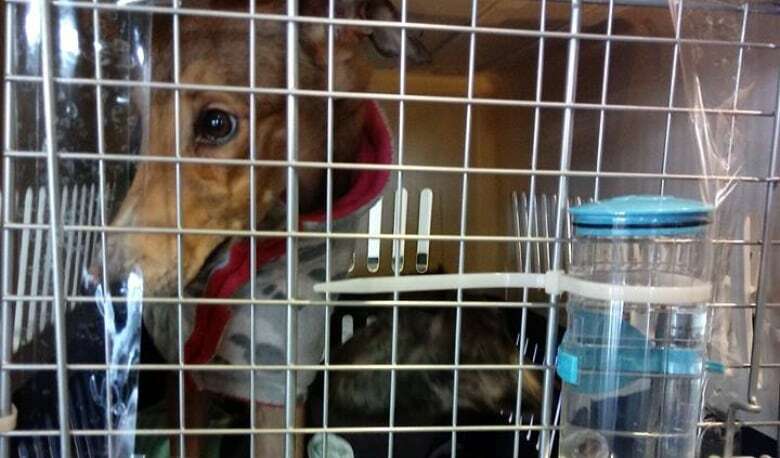 Greyhounds were vaccinated and quarantined for 3 months before flying to the U.S.
Staff at MotorCity Greyhound Rescue in Detroit, Mich., say they took all necessary precautions before importing greyhounds from South Korea and had "no way of knowing" the animals were carrying a highly infectious canine flu. Two dogs with H3N2 canine influenza were eventually imported to Essex County, marking the first time the respiratory disease, which has rapidly spread across Asia and parts of the U.S., made its way into Canada. "We're not puppy mills. We're not bringing in unhealthy dogs into the country to try and sell them," said greyhound rescue vice-president Jennifer Valdez. "We're truly a rescue. We wanted to save these dogs." 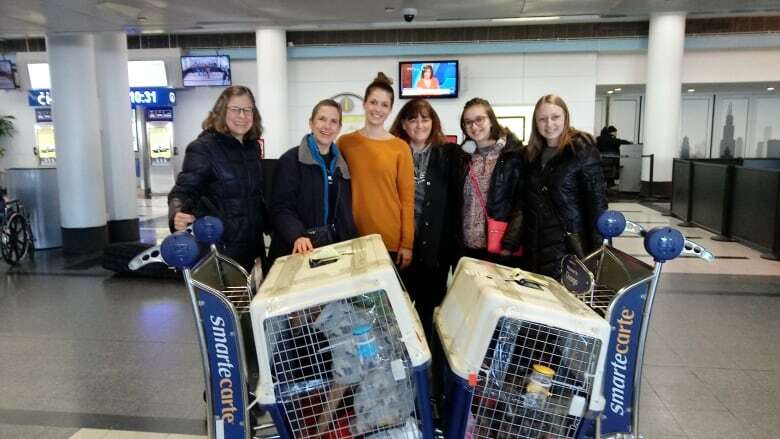 The animal welfare group has helped more than 400 dogs since opening 2011, but this was the first time it rescued greyhounds from South Korea, she explained. An agency there said the dogs were destined for the meat trade. Valdez said greyhound rescue has foster homes on both sides of the Canada-U.S. border and regularly uses an importer's license to adopt dogs in Ontario. "They were fully vaccinated," she said. "We had no way of knowing that they would have a different strain of flu." There is no known human risk to the canine flu, according to the Windsor-Essex County Health Unit, but officials are concerned a dog infected with H3N2 could also contract a human flu, and those strains could combine to create a new virus. It can be difficult to determine if a dog actually has the canine flu, according to Scott Weese, a professor and infectious disease specialist at the Ontario Veterinary College, but the illness can cause complications for older dogs, or canines with existing health problems. Valdez said the two dogs carrying the flu in Canada are feeling better. She said that after her organization found out the two animals were sick, the dogs were taken to the vet the next day. "We followed the recommended protocols." Valdez plans on doing everything she can to make sure the flu doesn't spread further. The dogs and puppies in the foster home have not come into contact with any of the other dogs, she said. "We've taken the precautions that it would not spread beyond those homes and those dogs will be healthy before they're out in the general public." Rabies vaccination for dogs three months or older. The dog must be healthy and fit to travel with no visible signs of illness. The dog must be accompanied by export documents. "The World Trade Organization sets out rules for international trade," the agency said in an email to CBC News. "One of the established import guidelines states that a country cannot impose import restrictions for diseases for which no official programs are in place to control or eliminate the disease." Currently "rabies is the only federally reportable disease in domestic dogs that is regulated in Canada," the agency said.